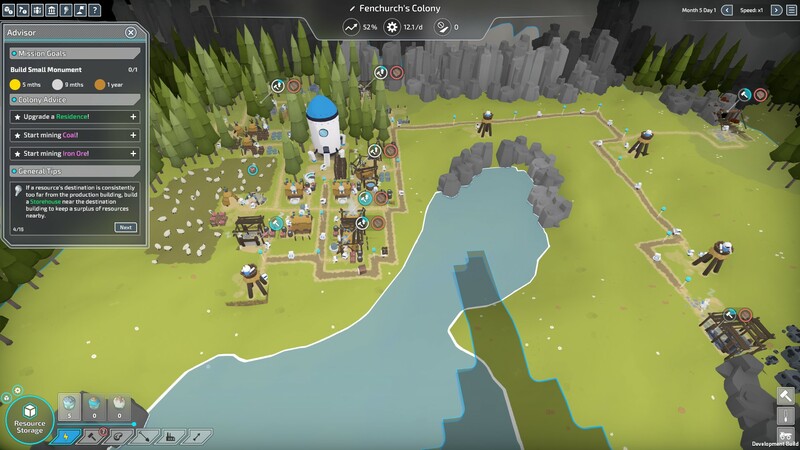 Codebyfire the developers behind Settlers inspired game The Colonists had been quiet for quite some time. Then out of nowhere came a trailer, a ray of hope for those who had been keeping tabs on the game since it was first announced over a year ago. It seemed that somewhere deep inside the matrix of game development, cogs were beginning to turn and foundations were being laid. I had to find out more about this mysterious game. With The Colonists being in it’s alpha stage of development there are currently only pre-set scenarios for me to try out. As it turns out these are a good way to get to grips with the game and what it has to offer. The first couple of scenarios have me exploring the basics of building my town, advancing technologies and managing resources. Scenarios three and four teach me about building boats to explore the seas and combat with other colonies. And each of the scenarios after that include most of the same but at an advanced level. Resource management is a big thing in this game and keeping tabs on how your resources are used will help you advance much quicker. Thankfully there is a ‘supply and demand’ menu for each resource which shows if you are falling behind or overproducing. In my eyes this is something that a lot of management games could do with having. It helps you make much more informed decisions when choosing what to build next and can explain why overall production rate of your city has stalled. 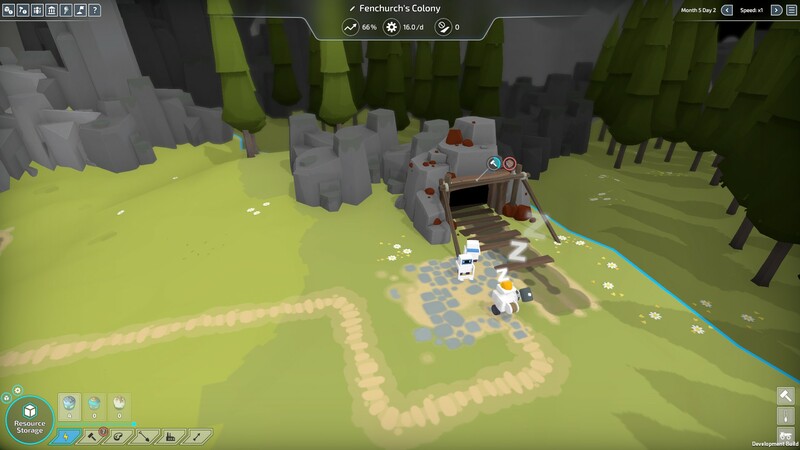 Overall the gameplay in The Colonists is pleasant and enjoyable. The game goes at a nice pace (you can make time move as you want) the graphics are cute and its quite a relaxing game to play for the most part. Some of the building material needs seem a little anti-progression however. For example; you run out of stone and need to expand your territory to find more deposits. To do this you build a watchtower so you can see further, but building a watchtower requires stone… see where I’m going with this. Thankfully it is slowly auto-generated but without proper management of resources, this can be a very slow process. If there’s one thing that I would point out at this stage it’s that overall game progress is easily halted by bad resource management. This may be entirely my fault in that my style of gameplay doesn’t suit The Colonists but as a fairly experience management gamer I feel some more balancing needs to be done on the requirement of resources. The game may seem to be cute and relaxing but it’s certainly not casual in this aspect and your game can easily be brought to a slow pace if you’re not careful. As this is only Alpha there are some bugs to be found, it’s inevitable at this stage of development. On The Colonists Discord channel, people have been busy reporting any problems they find and developers have been working hard to fix them and update the game on a regular basis. I expect many changes and balances to come before the game releases and can’t see anything to worry about at this stage. In face for a game in Alpha there is a surprising amount of things to do and the game is in a very playable state. Aside from gathering resources and expanding your city, there is also exploration, combat, technology trees and everything is well explained and easy to get the hang of. If city building and management games are your thing, then keep your eyes on The Colonists because it’s looking like a promising little game so far.